What kind of mice are these? At my church we have been seeing a lot of mice in a building where the teenagers have bible study. A few of the teenage girls there freak out whenever they see the mice lol, the teacher says she thinks I'm the only one that doesn't pick up my feet when mice are running on the floor. 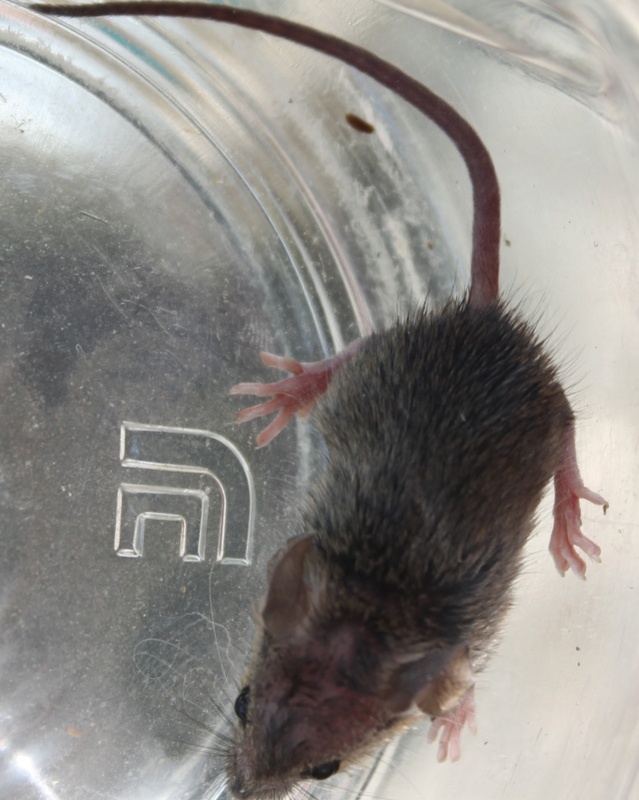 They were going to "take care" of this mouse problem by using glue traps, but as many know those are not good traps for catching mice, they don't offer a quick or peaceful ending at all. I'd hate to see these mice go that way, one of them was really friendly and came up to us, looked at us, and ran back to hide if someone moved. So we offered to take care of the mouse problem ourselves, with live catch traps. We have so far caught 1 adult mouse probably about a week ago, and yesterday and today we caught 3 little babies. They were very small but ate all the peanut butter out of the trap, so I assume they can eat okay. We have been releasing them in a foresty area near a river/stream so they have a water source and plants for food. We release them all around the same area so hopefully they can find each other and survive together rather than being thrown out on their own. So anyways, we are continuing to catch as many as we can and hopefully we can help them all out. The babies we caught were SO CUTE I had to get a picture of the one we got today. I was wondering, what species could this little guy be? Is he just a house mouse? They seem awfully small compared to my mice but I guess wild house mice might be smaller than domestic? Re: What kind of mice are these? Wild mice are much smaller than domestic ones; he looks like a house mouse to me. I don't know how well they'll fair without a building of some sort to live in, especially since they look too young... but it's sweet of you to give them a chance. 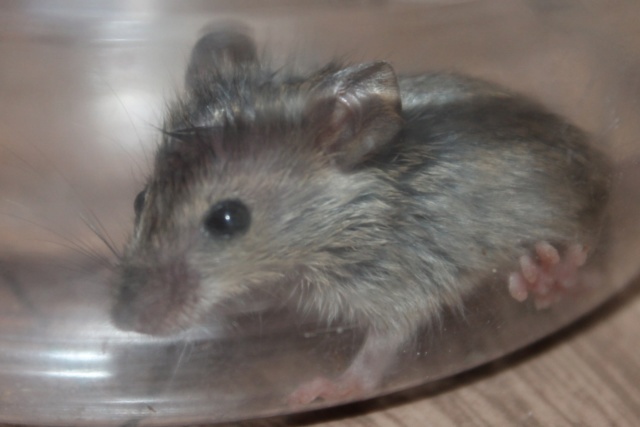 @Peachy wrote: Wild mice are much smaller than domestic ones; he looks like a house mouse to me. I don't know how well they'll fair without a building of some sort to live in, especially since they look too young... but it's sweet of you to give them a chance. I would love to build one of those wooden houses for wild mice, but I have no clue how to build something and my dad would probably laugh if I said I wanted to build a wild mouse house lol. We've been releasing them near bushes so they have some cover, that's the best I can do but it sure beats a glue trap if you ask me. I don't think i could build one either. 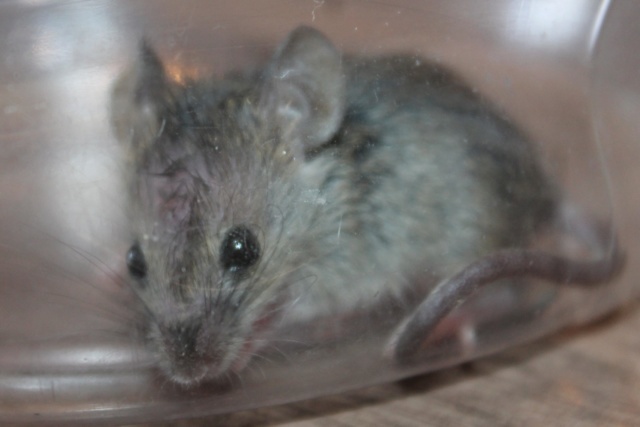 When I was catching the mice in my house I found that house mice released outdoors, rather than in a sheltered building like a barn, typically don't survive. I'm sure they have a much better chance than they'd have with a glue trap, though!! I know they are called "house mice" for a reason though, usually the mice you see out in fields are deer mice, I think? And not the house mice because they dwell in the city where they can live in people's houses and have an easy food source. There's just not much else I can do however, unfortunately there are no buildings like that, that I know of, that aren't in use by people. My parents are doing all the driving back and forth to the release site and to the church too, so I can't ask much more from them. I'm just happy I got the opportunity to give the mice a chance at survival though, as I believe even if it's a small chance, it's better than no chance. Also, the church plugged this thing into the wall where the mice are that is supposed to make sounds people can't hear to drive the mice away, I can confirm it is definitely not working lol, the mice are still going into the traps right next to that sound device. It's super funny that that thing isn't working so far. I think we looked into something similar but decided we didn't want to bug the pet mice. It's unfortunate there's no perfect solution, but your kind and thoughtful intentions are more than many would bother with! Looks like a house mouse (Mus musculus) to me too. I agree that even a small chance of survival is way better than a glue or snap trap!